PARENTS OF CHILDREN attending a Connemara naíonra have raised concerns after it was announced classes would be divided according to whether the children spoke Irish or English as their main language. An Crann Taca is an Irish-language school based in Indreabhán, Connemara and has a naíonra, crèche and after school facilities. In September the naíonra, which is a playgroup for pre-school children, will be divided into groups of children who speak Irish almost exclusively, and bilingual children (who can speak both Irish and English). Parents have said that this is a form of discrimination, as the children all speak Irish when at the naíonra, while the school said that it’s a matter of catering for the different language needs of each child. Sinn Féin Senator Trevor Ó Clochartaigh said that a number of parents are also concerned about staff numbers at the school, which is advertising for positions weeks out from the beginning of the term. It is only a few short months since a number of staff in the centre were let go as they did not have the relevant FETAC Level 5 qualifications needed. Speaking to TheJournal.ie, Lochlainn Ó Tuairisg, board secretary of the Ionad Tacaíochta Teaghlaigh which runs An Crann Taca, said that seven members of staff were told to update their teaching qualifications before a certain deadline. “Some staff did, some didn’t,” Ó Tuairisg explained. Seven staff members who didn’t have a minimum of a Level 5 qualification were let go, but the school didn’t receive funding to finance an update to their training, according to Ó Tuairisg. It’s been suggested that some staff members have voiced their opposition to dividing children into classes according to their language level. An Crann Taca opened in 2004 to provide Irish-language facilities for children whose parents want to raise their children through Irish only. Two weeks ago, a letter was sent around to parents informing them of the change to classes, which would have children grouped according to whether they speak Irish at home or not. 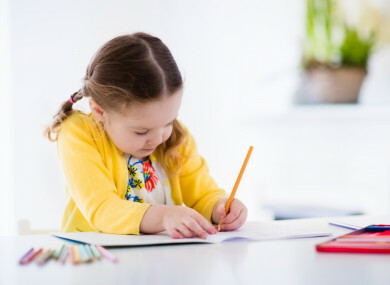 Parents will be asked to make a conscientious, informed and sincere choice regarding which service will best suit their child’s needs: group A, for those children whose primary language of communication and play is English; and group B for those children whose primary language of communication and play is Irish. The letter said that research has shown the best way for both native and non-native child speakers to learn is to be grouped with similarly-skilled speakers. But some parents feel that this is a form of discrimination against bilingual children, and think it doesn’t make sense as children of different ages could be in the same class. “Some parents don’t want their children learning English before the age of six,” one parent told TheJournal.ie, “but I don’t want anyone to put a judgement on my child”. I don’t know what to do. My kids have a lot of friends there, and when you find a school that your children are happy going to that’s worth a million bucks. Ó Tuairisg said that the change came following parents’ complaints that primarily Irish-speaking children were coming home from An Crann Taca speaking English. The school had divided classes according to language-skills when it first opened, but this was changed later. He said the school rejects the “discrimination label” entirely. But bilingual families feel the change is unfair. “In the longterm I don’t think they’d bat an eyelid if bilingual parents left. If they had the cash they would turn away bilingual families altogether,” a parent said. Email “'I don't know what to do': Clashes over Irish-English language split at Connemara crèche”. Feedback on “'I don't know what to do': Clashes over Irish-English language split at Connemara crèche”.